Nintendo’s newly-unveiled gaming console looks awesome. It’s also what we’d all expected. 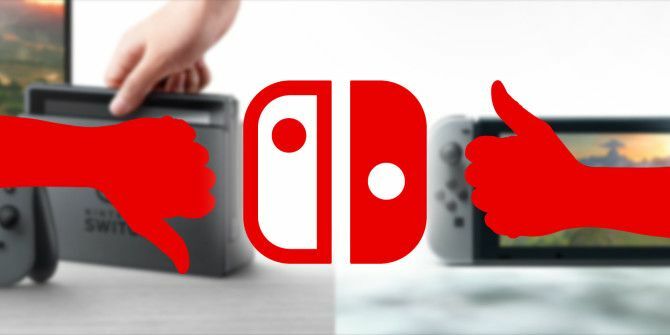 Originally given the codename “Nintendo NX,” it’s now officially called the Nintendo Switch, an allusion to the fact that it’s a console/handheld hybrid — exactly as rumors had it Apple Suffers Hardware Failure, The Latest Nintendo NX Rumors... [Tech News Digest] Apple Suffers Hardware Failure, The Latest Nintendo NX Rumors... [Tech News Digest] Apple is selling less hardware, the Nintendo NX is probably a home/portable hybrid, Pokemon Go Plus gets delayed, Twitter for Android gets a Night Mode, and possibly the happiest gamer in the world. Read More since it was first teased over 18 months ago. The announcement trailer hammered home its yin-and-yang-like logo and the fact that Nintendo likes employing happy hipsters. Fortunately, we’ve learned plenty more! The idea is a home console that you can carry around with you. It’s a continuation of gaming, no matter where you go. There are certainly echoes of the Wii U there 7 Ways The Wii U Is Better Than The Xbox One And PS4 7 Ways The Wii U Is Better Than The Xbox One And PS4 While the battle between the PlayStation 4 and the Xbox One rages on, a third competitor watches from the sidelines: the Wii U. Read More , except this has the gimmick of detachable controllers too. The first thing the trailer showcases is how the Switch slots into a bigger dock to play on a television. This is a charging station too. That’s accompanied by a traditional controller, like the Wii U Pro. Going portable, the controls to either side of the LCD screen can either be left as one unit, again reminiscent of the Wii U, or can be detached. These “Joy-Cons” can be detached and used as one controller or for separate players in multiplayer modes. You’ve got to admit, that’s pretty neat. Considering you can use the controllers vertically or horizontally, it’s likely they’ll have motion sensors and vibration, recalling the heady days of the Wii 10 Wii Games All New Wii U Owners Should Play [MUO Gaming] 10 Wii Games All New Wii U Owners Should Play [MUO Gaming] Nintendo took the wraps off its next console, the Wii U, all the way back at E3 2011. But it wasn't until September 2012 that it decided to reveal the full and official launch details.... Read More . Sadly, it seems Nintendo has ditched the D-Pad on the Joy-Cons, a feature of every console its ever made. Fortunately, it’s still a part of the Pro controller. The Switch’s main screen has a handy kickstand, and unless it’s made of adamantium Now Playing: 5 "Astonishing" Websites For X-Men Fans Now Playing: 5 "Astonishing" Websites For X-Men Fans If the X-Men leave you "X-Statix", there are plenty of ways to indulge your passion. Turn to the Internet. It showcases the mutant race in a fun and thorough way. Read More , we advise having super glue on standby for when it snaps off. Just like the Wii U, there’s a headphone dock, which makes it more technologically-advanced than the latest iPhone Apple Ditches the Headphone Jack, Mark Zuckerberg Tapes Over Webcam... [Tech News Digest] Apple Ditches the Headphone Jack, Mark Zuckerberg Tapes Over Webcam... [Tech News Digest] Apple plans to kill the headphone jack, Mark Zuckerberg covers his webcam with tape, Twitter lets verified users Engage, Apple will fund your next eBook spending spree, and Jerry Seinfeld's apartment is Doomed. Read More . When the NX is released, the Wii U business will slow… However, the NX is neither the successor to the Wii U nor to the 3DS. It’s a new way of playing games, which I think will have a larger impact that the Wii U, but I don’t feel it’s a pure replacement for the Wii U. Nonetheless, it’s difficult to see how the three systems will go hand-in-hand. The Switch particularly makes the Wii U look superfluous How the Wii U's Failures Can Make Nintendo's NX a Success How the Wii U's Failures Can Make Nintendo's NX a Success Nintendo's next console, codenamed the NX, is going to be huge. Potentially. But every company has stumbles. If Nintendo has another one, could it be The End? Read More . The 3DS is at least compact enough to slip into your pocket. The Switch looks akin to carrying an iPad around with you — which, admittedly, many do. Which Games Will Be Available? What might’ve initially looked to be a slot for an SD card is actually an aperture for the so-called Game Card. As the rumors said, the Switch is ditching optical discs, reverting back to cartridges, which should please traditionalists. And you probably won’t have to spend half as much on these How to Take Care of Your Retro Consoles, Games & Controllers How to Take Care of Your Retro Consoles, Games & Controllers Retro gaming hardware can require some special attention. Here are some simple tips for keeping your consoles, games, and controllers in top condition. Read More as you did with old SNES cartridges! This does spell an end to hopes for backwards compatibility, again tying into Nintendo’s statement that the console isn’t replacing the Wii U or 3DS. While games for the latter appear a similar size to the ones used in the Switch, their different resolutions would certainly cause issues. It doesn’t rule out the possibility that games from older consoles will be playable on the Switch via the Nintendo eShop 10 Classic Nintendo Games to Celebrate 5 Years of the eShop 10 Classic Nintendo Games to Celebrate 5 Years of the eShop The Nintendo eShop is celebrating its fifth anniversary this month, and it's a perfect time to snap up some excellent games! Here are 10 classic titles all Nintendo enthusiasts need to download! Read More , so we hold out hope. Indeed, there’s talk of ports for the Wii U’s more successful games like Super Mario Maker. But right now, that’s all it is: talk. There’s good news too. Ruling out backwards compatibility means all the games we see in the trailer are entirely new — including a sequel to Splatoon, one of the Wii U’s most original and captivating releases. Many were most excited to see new Super Mario and Mario Kart games; as Nintendo’s most successful franchises, these were guaranteed, but it was nonetheless satisfying to see actual gameplay. The ninth Mario Kart title promises a new character in King Boo, and the ability to hold two items at once, just as in the GameCube’s Double Dash. The Legend of Zelda: The Breath of the Wild was announced for the Switch and Wii U after a very long wait. Other confirmed games include the Sonic the Hedgehog title codenamed Project Sonic 2017 (coming late next year for all major consoles), Dragon Quest XI, and Just Dance 2017. 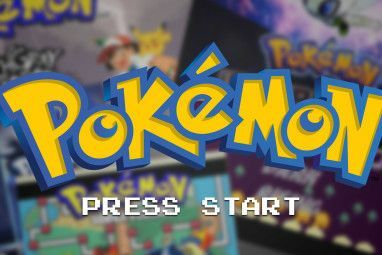 Pokémon games are in development for the Switch too, the franchise riding the success of its 20th anniversary 8 Ways to Celebrate Pokemon's 20th Anniversary 8 Ways to Celebrate Pokemon's 20th Anniversary This year, on 27th February, Pokémon celebrates its 20th anniversary. Here's how to celebrate in style! Read More , and the headline-grabbing Pokémon Go. The Amiibo craze isn’t going anywhere either Amiibo, Skylanders, Disney Infinity - What's The Difference? Amiibo, Skylanders, Disney Infinity - What's The Difference? We're here to break down all the differences and help you choose which to invest your money in. Read More : aside from a glimpse of a few figures in the trailer, Nintendo has announced the Switch’s support for such extra content. The Legend of Zelda: The Breath of the Wild‘s scope and graphics amazed us when we first saw its trailer. However, the Nintendo Switch isn’t trying to compete with the visuals offered by eighth generation consoles like the PlayStation 4 or Xbox One. While we don’t expect too much of a slump in picture quality, the Switch’s raison d’etre is entirely different, so its specs reflect this. Digging under the casing, we find a heavily-customized Nvidia mobile Tegra processor, mostly used in smartphones and tablets. This System-on-a-Chip (SOC) is based on the ARM (Advanced RISC Machine) architecture — specifically the quad-core Cortex-A57 — licensed by ARM Holdings. Their instruction sets are found in smart TVs, self-driving cars How Self-Driving Cars Will Change Transportation Forever How Self-Driving Cars Will Change Transportation Forever As we move into 2015, the question is no longer whether self-driving cars will replace manually driven cars, but how quickly they'll take over. Read More , digital cameras, drones, smart home devices 9 Reputable Smart Home Brands With Products You Can Trust 9 Reputable Smart Home Brands With Products You Can Trust The modern world is moving toward all kinds of smart home automation, and the longer you hold out, the more difficult it's going to be when your day of conversion finally comes. Read More , and plenty more — but this is the first time ARM’s been used on a major gaming console. The closest comparison is last year’s Nvidia’s SHIELD, which is available in three iterations: the SHIELD TV, a fusion of 4k gaming and set-top television; SHIELD Portable, a gamepad with touchscreen for portable entertainment; and the SHIELD Tablet K1, a device that runs apps, including games, through Android’s OS. These run on the Tegra X1 chip that developers are using for the Nintendo Switch. It might still surprise us on release with an X2 chip instead, but that’s purely speculation right now. What does all this mean for the end-user? It’s a powerful system with good potential battery life. It’s ideal for a hybrid console. We don’t know the Switch’s screen resolutions, but the X1 chip can cope with 1080p (which is Full HD What’s the Difference Between HD Ready & Full HD? 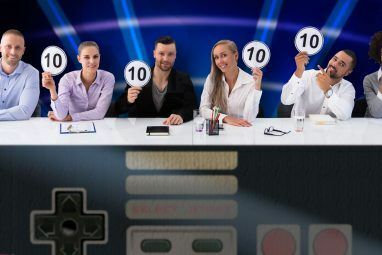 What’s the Difference Between HD Ready & Full HD? Television and computer monitor manufacturers can be a sly bunch, using different acronyms to disguise hardware capabilities. Well, worry no more. We've explained what HD Ready really means. Read More ). 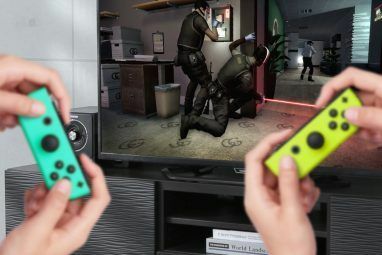 We’re hoping the handheld unit will be 720p (a great improvement on the 3DS, and even the PS Vita’s 540p), which will be perfect for extending battery life, and then step-up to 1080p when connected with the TV dock… but it’s doubtful. The Nintendo Switch will be out in March 2017 Nintendo Teases NX Games Console, Kaspersky Tackles Ransomware... [Tech News Digest] Nintendo Teases NX Games Console, Kaspersky Tackles Ransomware... [Tech News Digest] Nintendo teases its next games console, Kaspersky helps defeat CryptXXX ransomware, Google Calendar helps you find a time, Mark Zuckerberg thinks he's omnipotent, and not even weather forecasters can avoid the Windows 10 nag-screen. Read More . Beyond that, we don’t know. The company’s left a lot of unanswered questions, notably the precise release date, launch games, and pricing. The latter could make or break the console, as might the fact that it’s not out before Christmas. This might be in the hopes that sales of the Wii U and 3DS will rise 10 Must-Play Wii U Games in 2016 10 Must-Play Wii U Games in 2016 Want to see what games you can play on your Nintendo console this year? Here are ten Wii U console exclusives you can play in 2016. Read More during the festive season, but are people really likely to spend out on an older machine when the latest is just around the corner? The investment banking agency, Macquarie Group estimated a RRP (recommended retail price) between $300 and $350. If Nintendo wants to compete against the PS4 and Xbox One, it’ll need to be where the smart money is: around the $299 mark. The cheaper, the better, obviously. For comparison, the Wii U initially cost $300, while the 3DS was $250 on launch. We don’t know what will be bundled alongside the console. It’s fair to expect the docking unit, screen with Joy-Cons, and Switch Pro Controller, alongside all the standard cables. Nintendo has stood by their statement that the dock is purely used for connecting with the TV and charging, but we still question what else it could do. Nintendo has not released much on this, either. Even though it looks like a tablet, we don’t know whether other apps will be available. Streaming services like Netflix have at least been accessible through the Wii and Wii U. There are further rumors that it’ll be region-free, but that’s still an unknown quantity. Lots to still learn, but the Switch seems promising Meet Nintendo's New Games Console... the Nintendo Switch Meet Nintendo's New Games Console... the Nintendo Switch Nintendo has unveiled the Nintendo Switch, a home/handheld hybrid games console designed to give Nintendo fans the best of both worlds. That is if everything goes according to plan... Read More . What do you think of Nintendo’s latest venture? Will you buy one? If not, why not? Let us know in the comments! Explore more about: Gaming Culture, Nintendo, Nintendo Wii U.